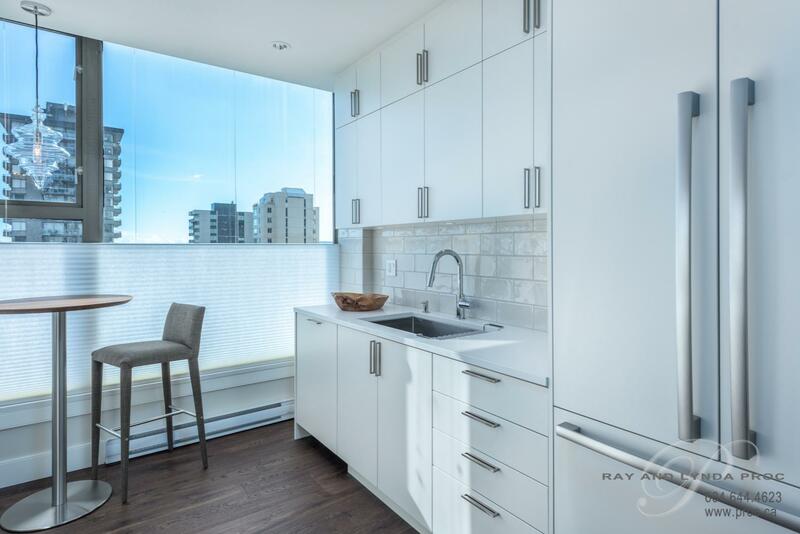 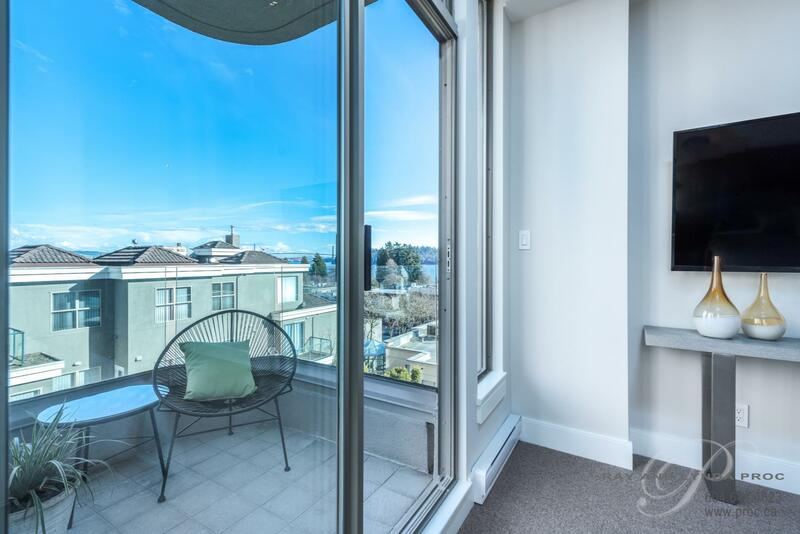 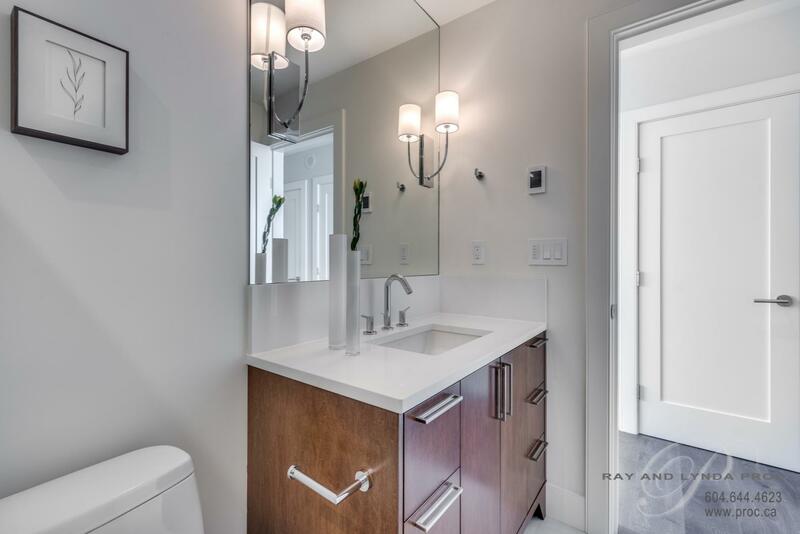 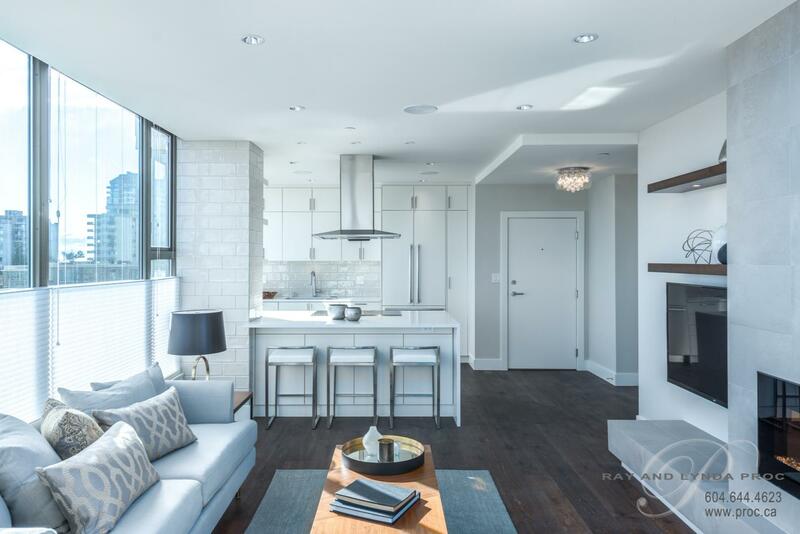 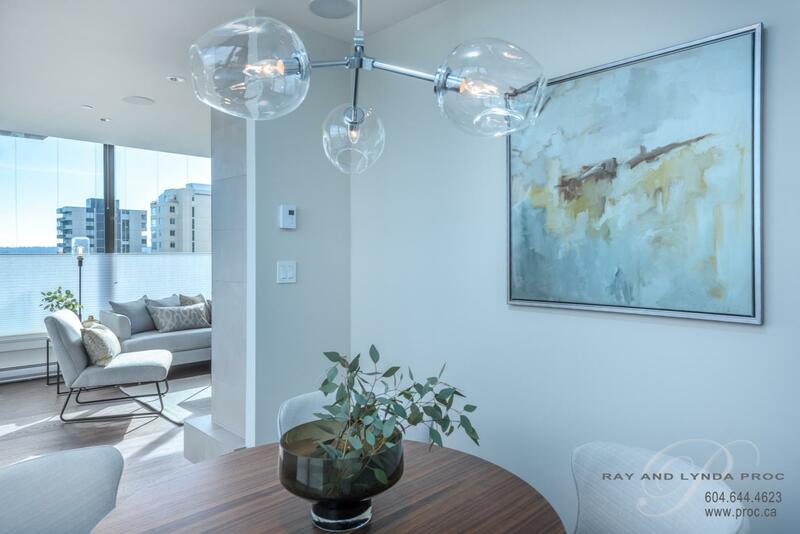 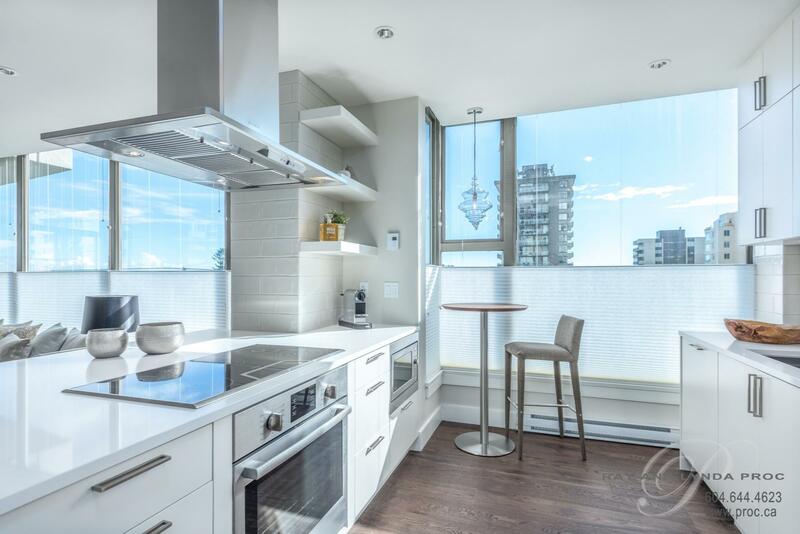 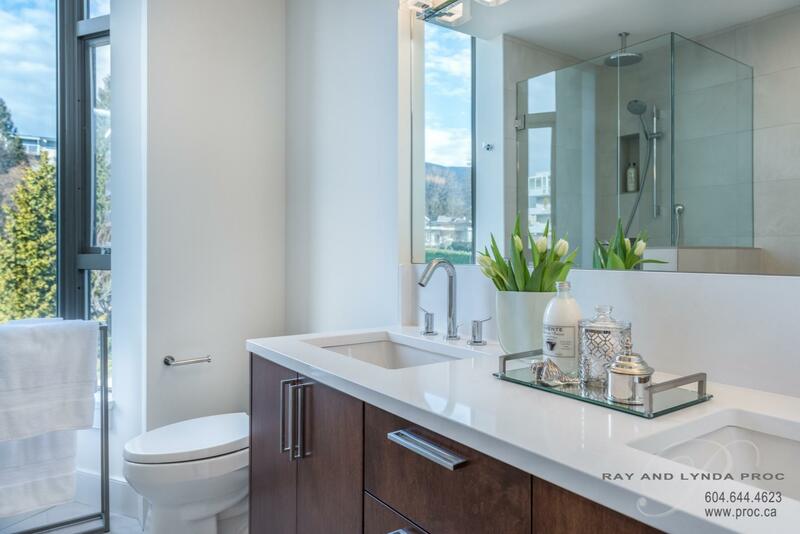 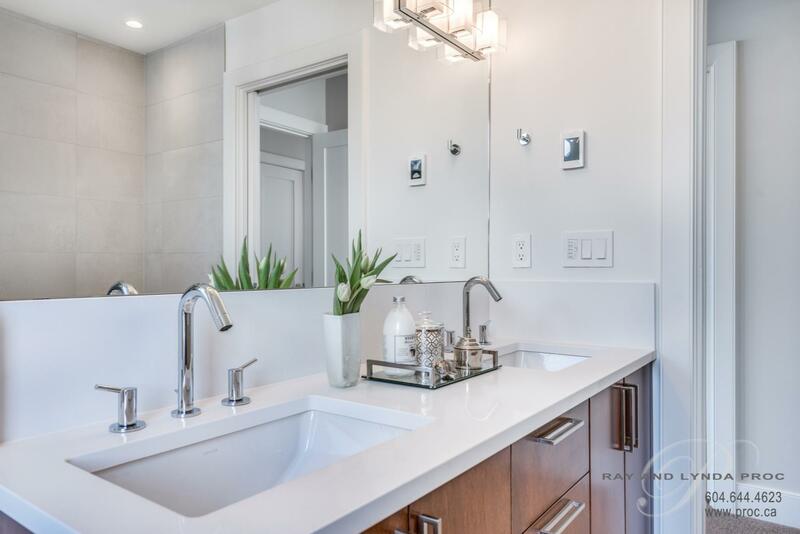 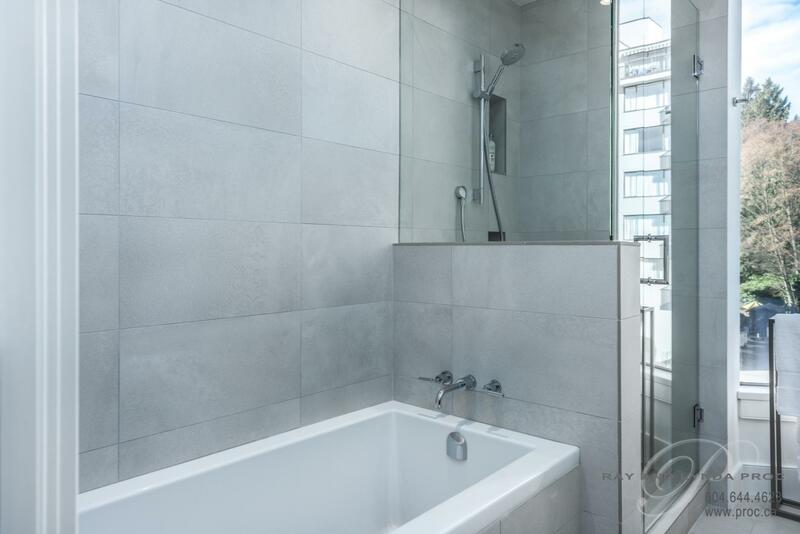 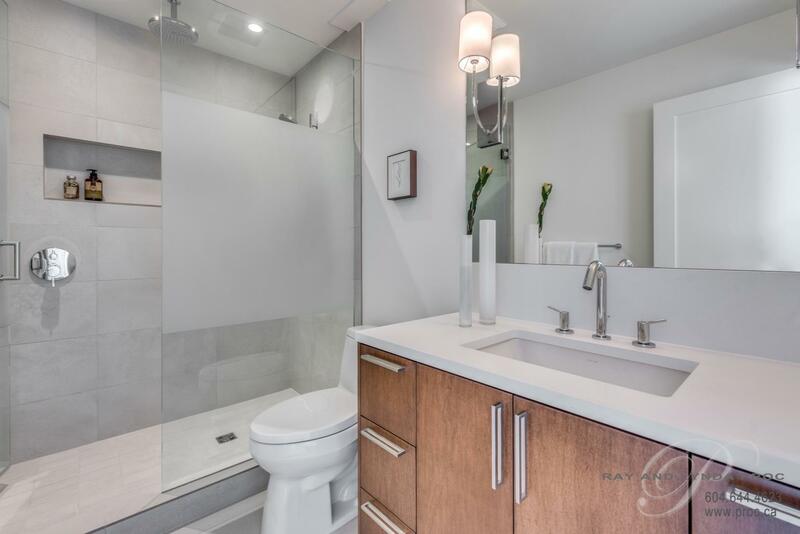 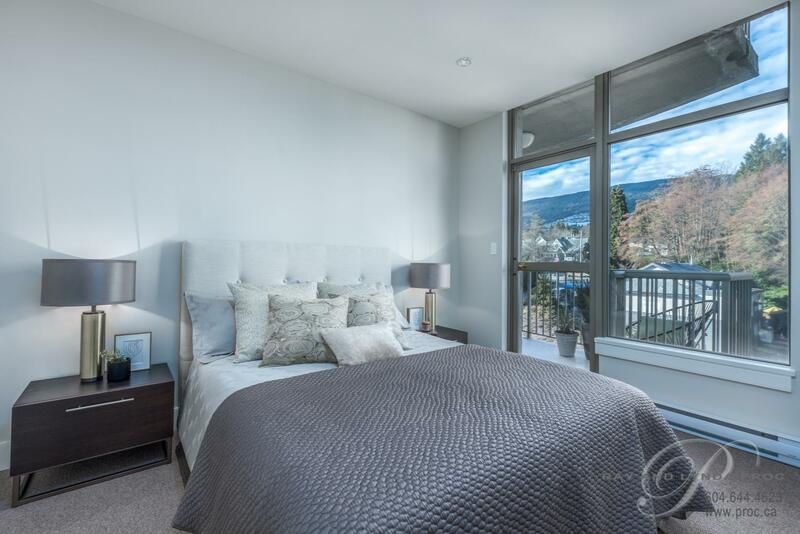 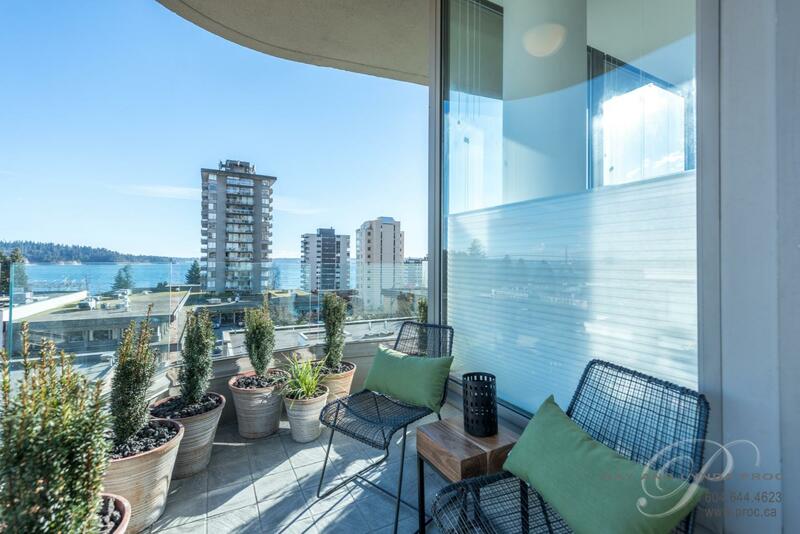 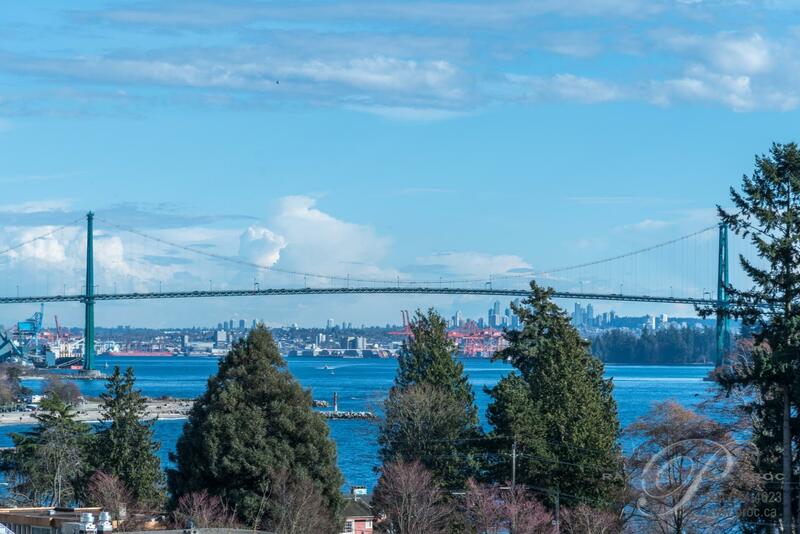 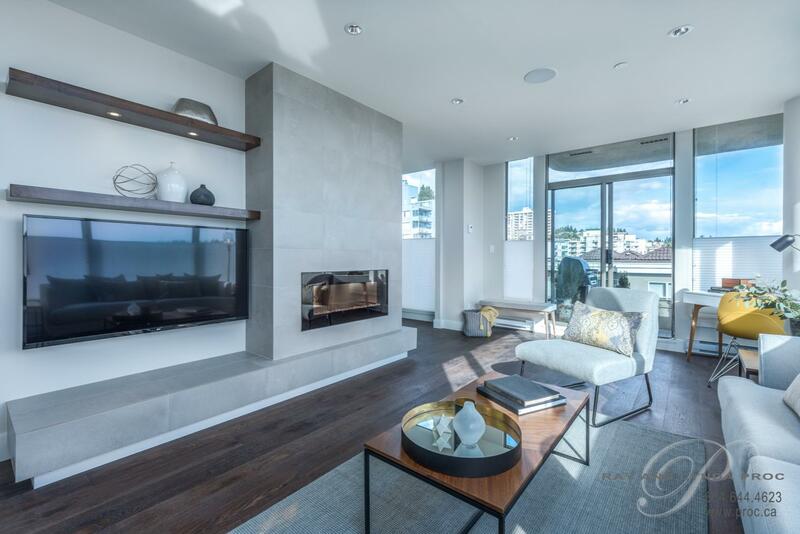 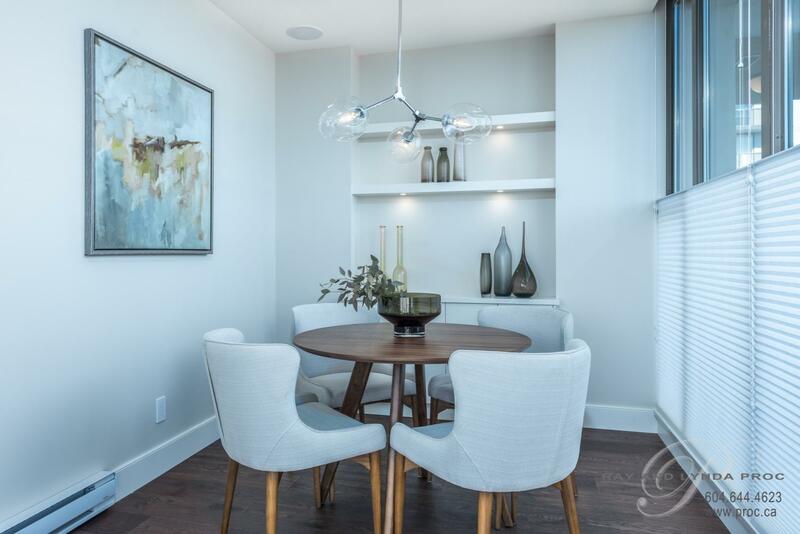 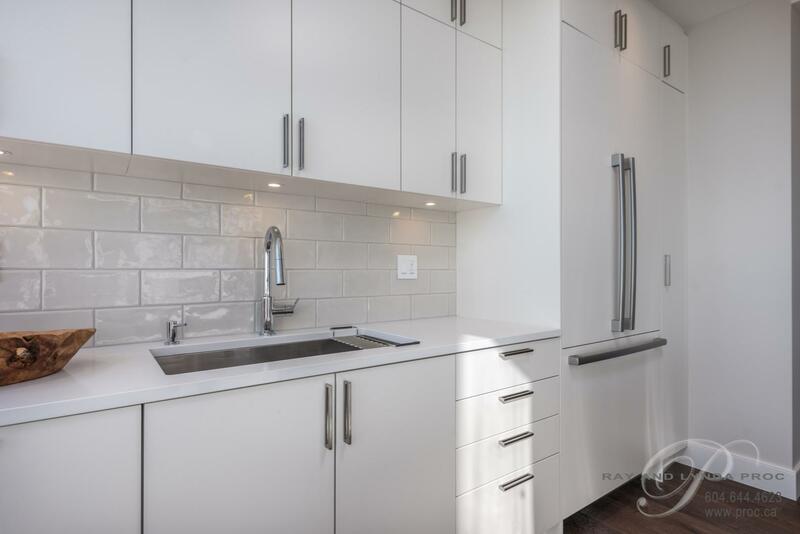 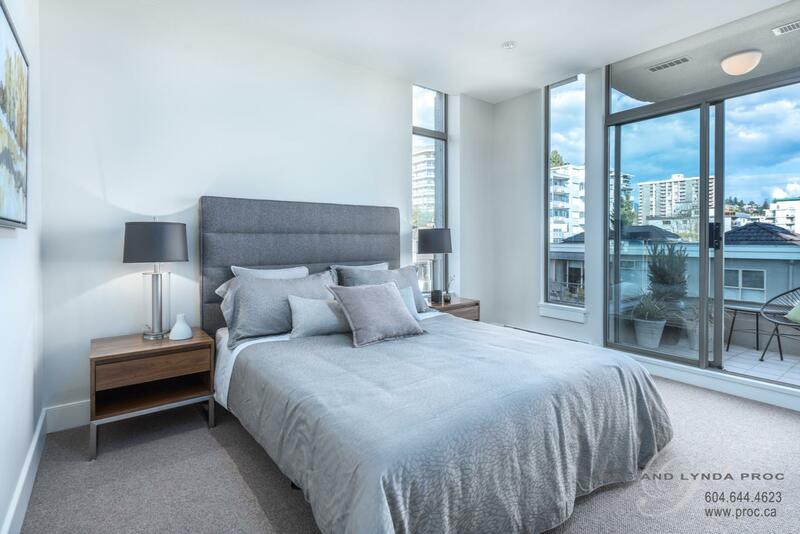 Enjoy lovely water and city views from this gorgeous two bedroom corner suite with a private dining room and two full bathrooms, nestled in this highly sought after central Ambleside location. 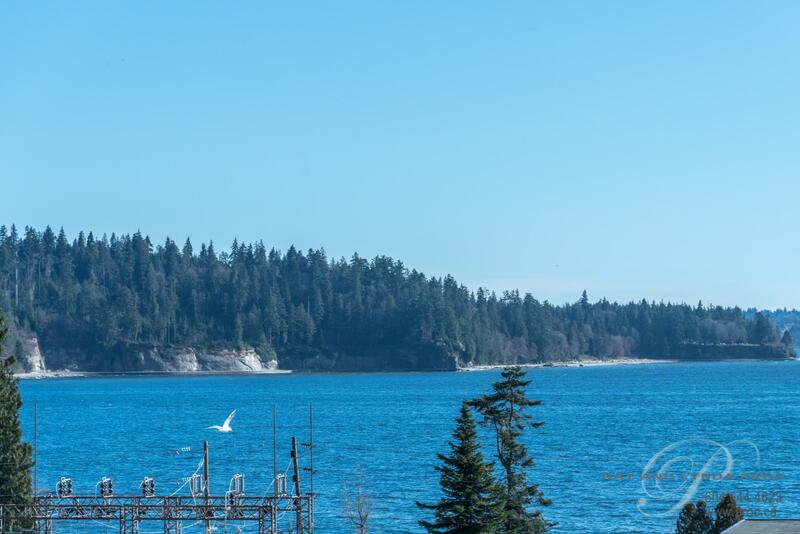 Watch the cruise ships and enjoy beautiful close-in night time views from the 180 sf of decks. 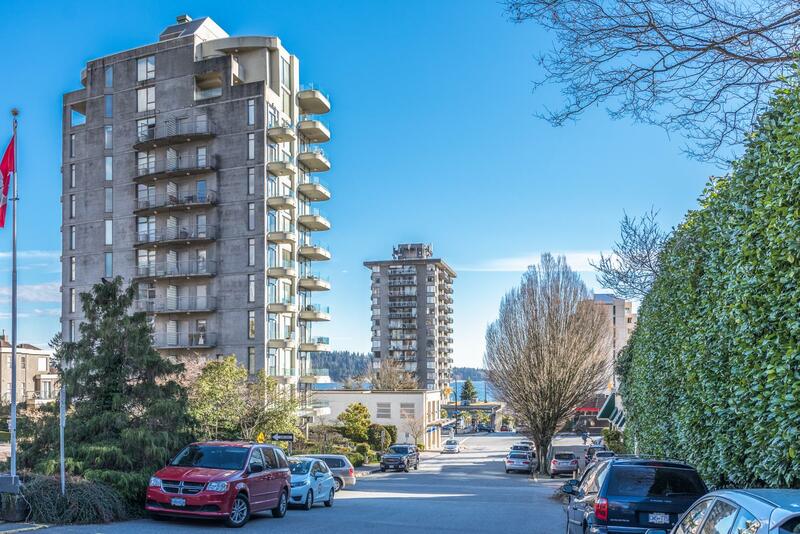 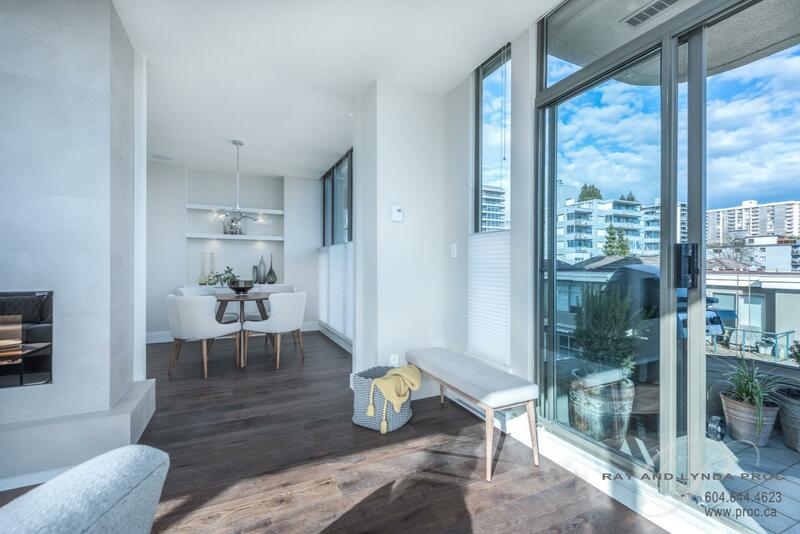 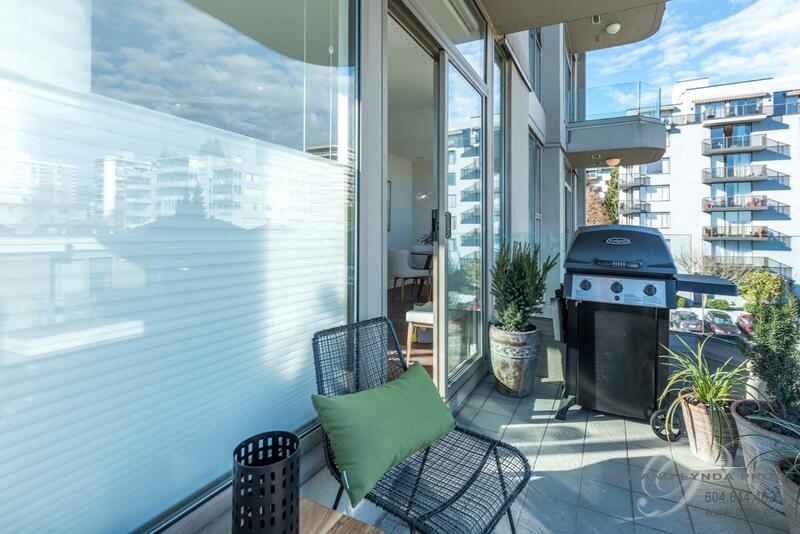 One block from the West Vancouver seawall and Ambleside shopping and restaurants; walk to everything! 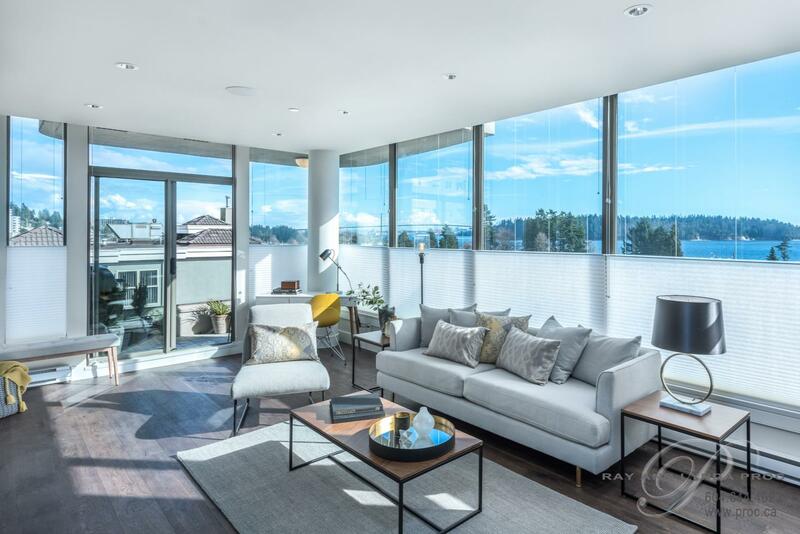 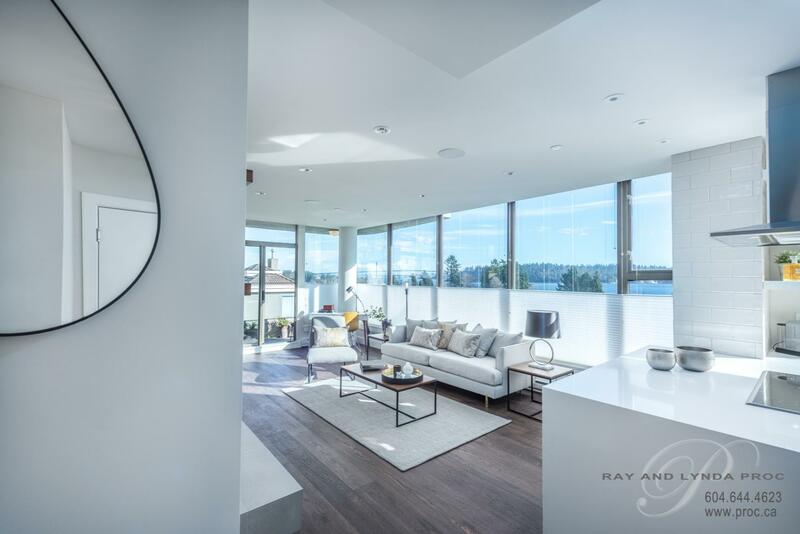 Down to the studs renovation features almost floor to ceiling windows facing the south & east views, an open floor plan with 9’ ceilings and wide plank oak hardwood flooring throughout. 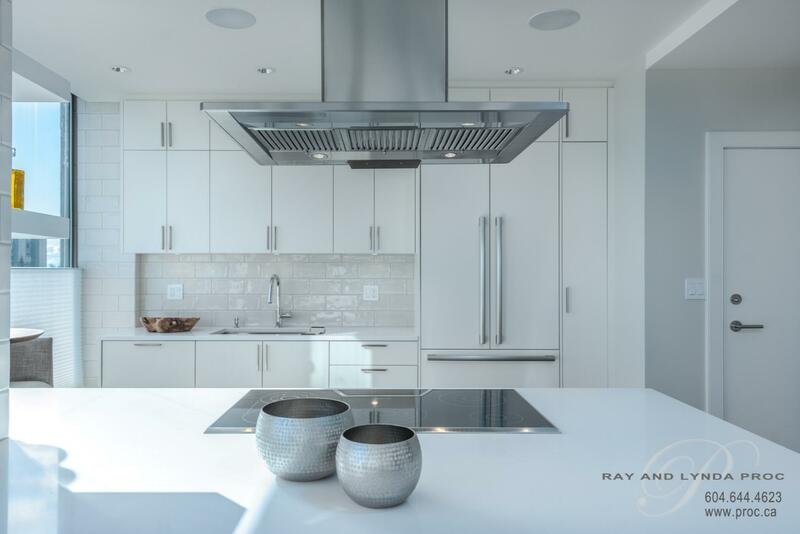 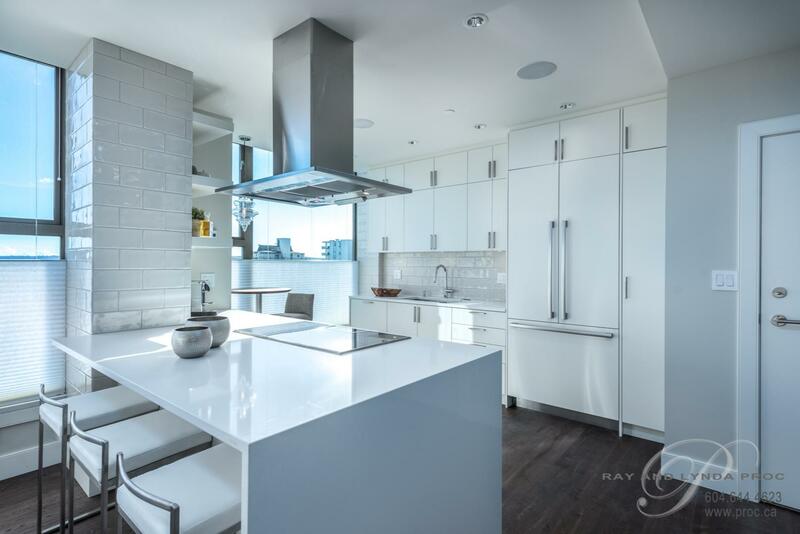 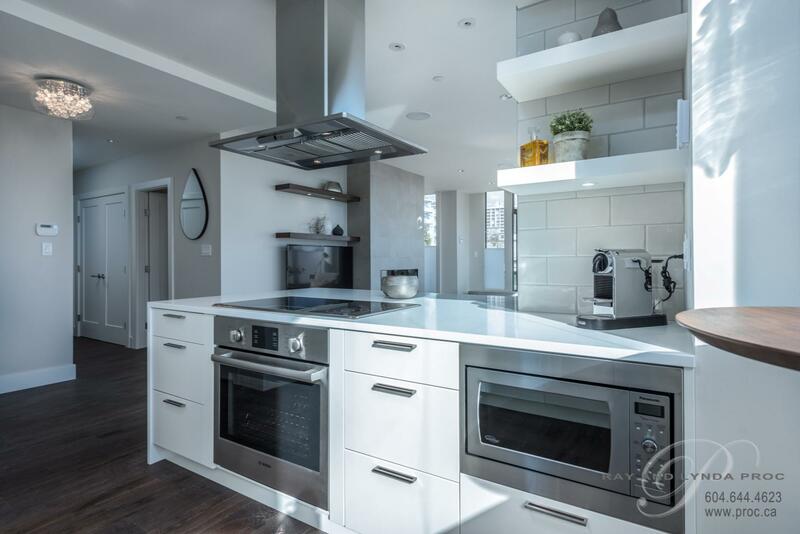 The sleek open kitchen with its quartz counters, Bosch appliances and custom cabinetry are perfect for cooking and entertaining and the two spacious bedrooms with custom organized closets (one walk-in) and two full bathrooms (including a 5 piece ensuite) with heated floors are sure to please! 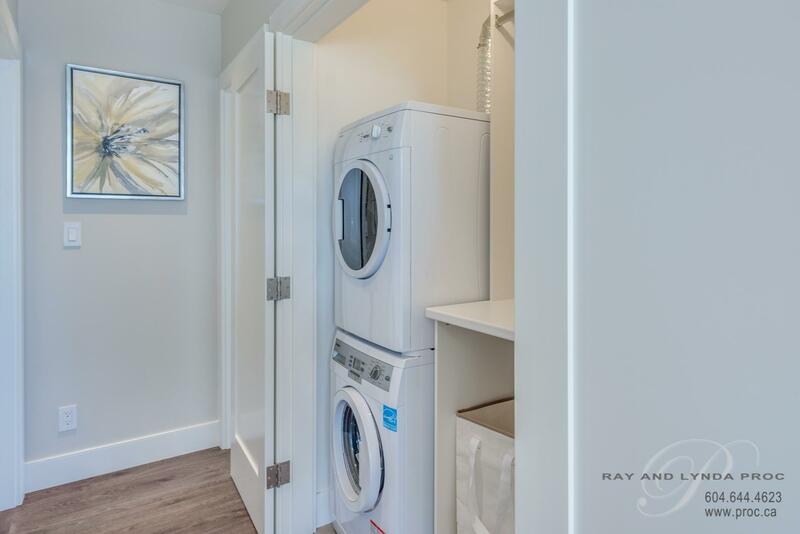 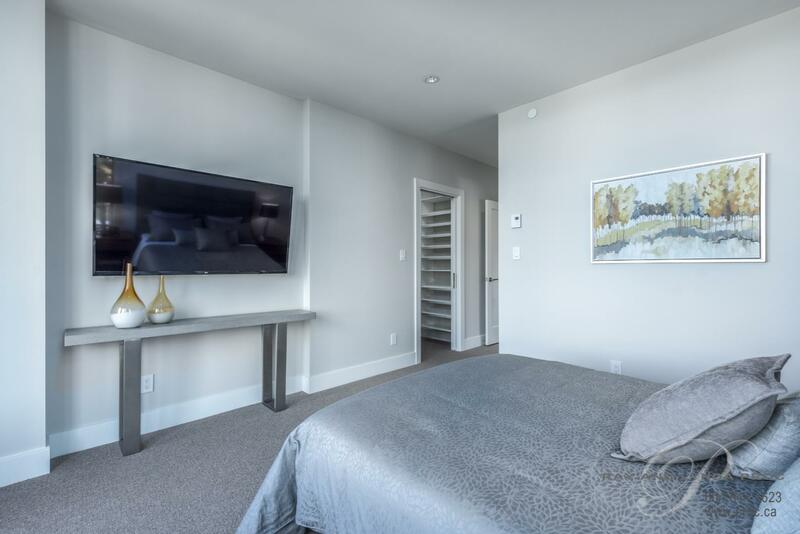 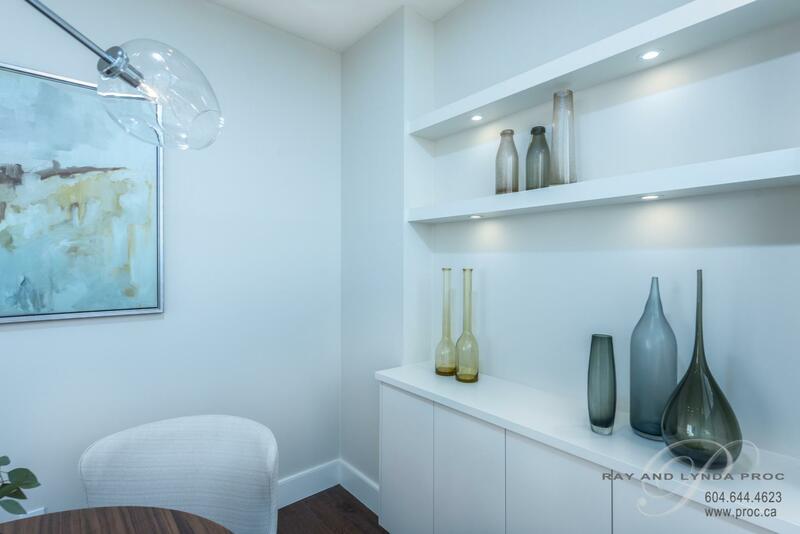 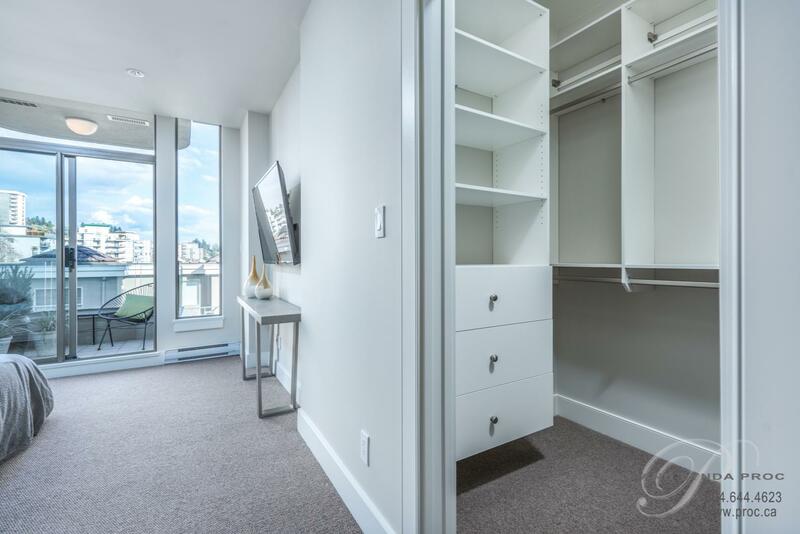 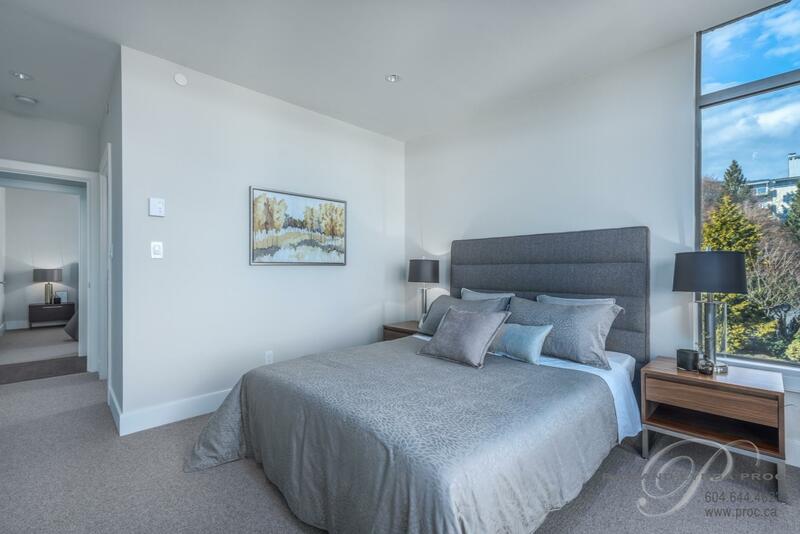 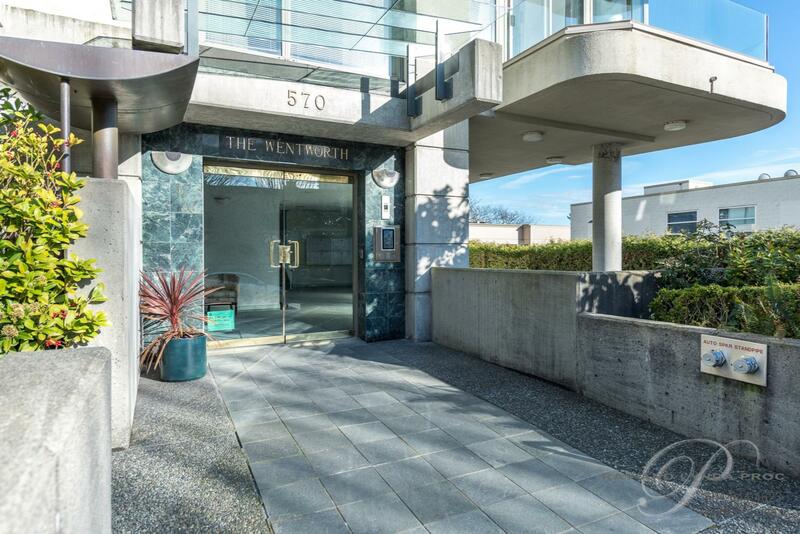 Only two suites per floor in this small 20 unit strata (a quiet age restricted building (19+ years), no rentals or pets) which include a meeting room and fabulous guest suite make this truly an extraordinary opportunity!